On January 9, 1961 two black students, Hamilton Holmes and Charlayne Hunter, entered the University of Georgia campus to register for classes. Their registration was the end of a long court battle to integrate the university that began a decade earlier when another student, Horace Ward, tried to gain admission into the law school. Holmes and Hunter were represented by an NAACP law team as was Ward who earned his law degree from a different university. Both Holmes and Hunter attended Turner High School, an all-black high school in Atlanta, Georgia where Holmes graduated at the top of his class, was the captain of the football team, and senior class president. Hunter finished third in her class, was the lead editor on the school’s paper, and was crowned Miss Turner. For almost two years the University of Georgia gave many reasons why they denied these students applications, so while the legal battle ensued they started their college years at different schools. On January 6, 1961 U.S. District Court Judge William Bootle, said “the two plaintiffs are fully qualified for immediate admission” and “would already have been admitted had it not been for their race and color.” On January 9 as the new students walked through the all-white school, they were met by mobs of people yelling racial slurs. On their third night in school, another mob of student headed towards the residence hall where Holmes and Hunter lived. The riotersthrew bricks and bottles at the building before the Athens, Georgia police ended the riot. Later that night, Dean of students J.A. Williams, pulled Holmes and Hunter aside and told them that he was withdrawing them from the school “in the interest of your personal safety and for the safety and welfare of more than 7,000 other students at the University of Georgia.” This decision enraged the faculty at UGA where over 400 faculty members immediately signed a petition asking for the return of the two students to the university. After the students returned, they met another Turner High School alumnus, Mary Frances Early, transferring to the University of Georgia from University of Michigan to offer moral support and earn her master’s degree. 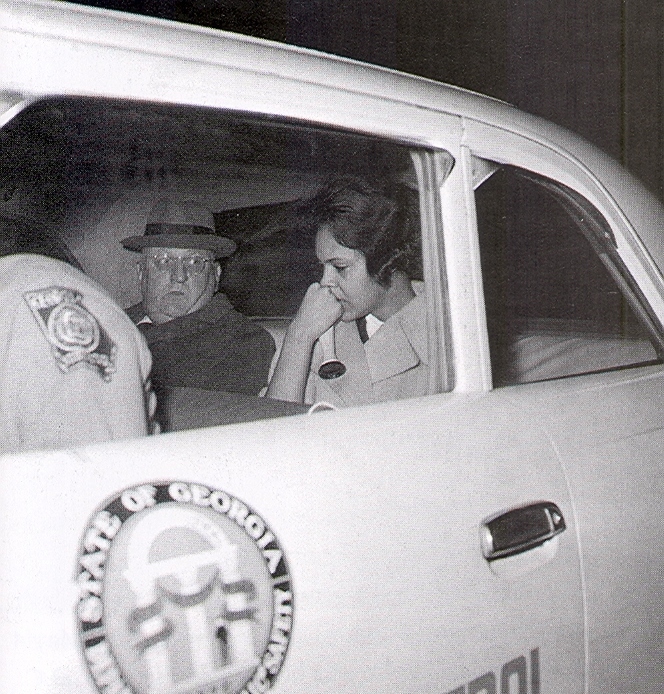 The desegregation of the University of Georgia, although initially meeting with extreme racist backlash, was nonetheless a major step toward desegregating colleges and universities in the deep South. The decision to readmit the students and keep the school open was a direct and successful challenge to Georgia legislation that terminated funding for state-run, desegregated universities. The school administration continued to run, even for a short period without the ability to pay its administrators, faculty, and staff until the Georgia legislature repealed this statute. “University of Georgia Integration,” Civil Rights Digital Library, University of Georgia, December 21 2017, http://crdl.usg.edu/events/uga_integration/?Welcome; “50th Anniversary of the Desegregation of the University of Georgia,” Celebrating Courage: 50th Anniversary of Desegregation at UGA, Office of Public Affairs, News Service | Office of the Senior VP for Academic Affairs and Provost, October 18 2010, https://news.uga.edu/defining-moment/.